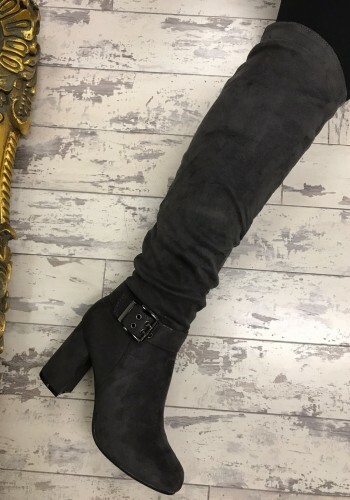 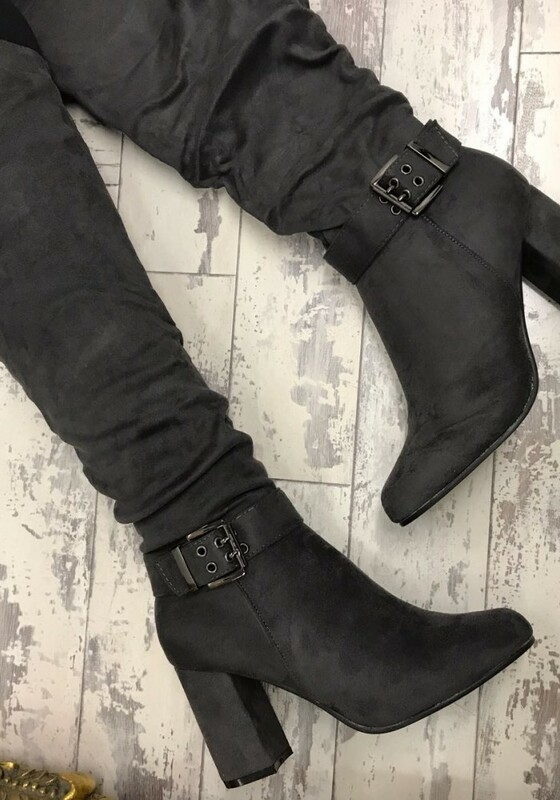 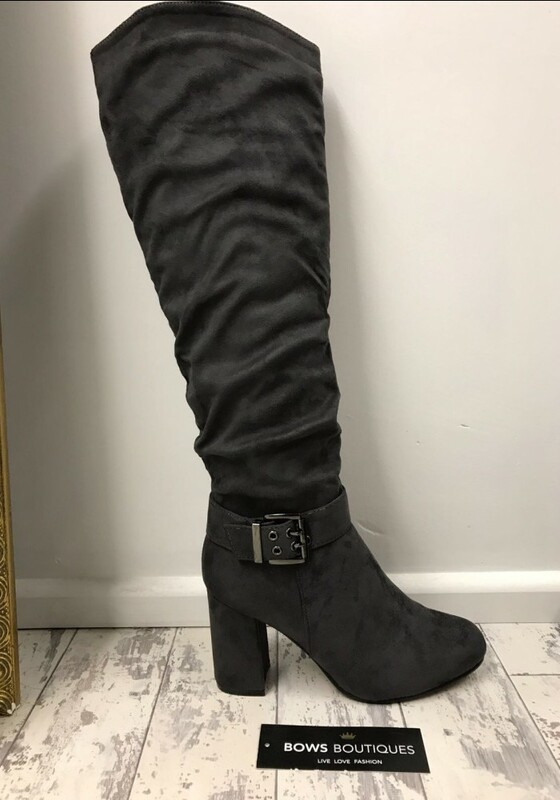 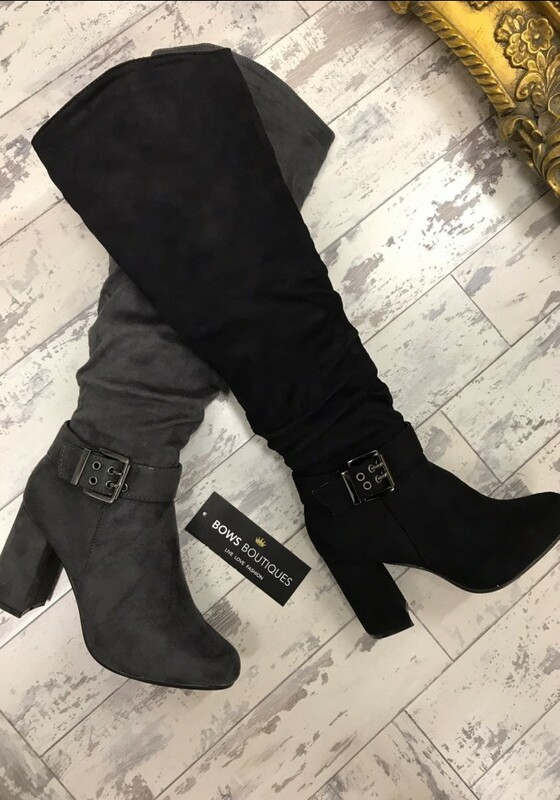 Step out in style this season with the Selissa suedette buckle heeled knee high boots! Perfect for completing your head to toe look! 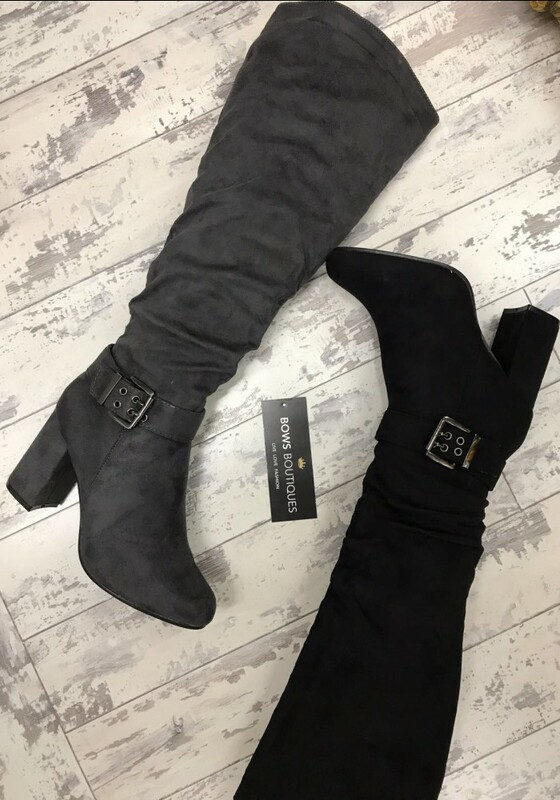 Choose from 2 new season shades!